Wellcom to International Used Auto Parts Supplier & Exporter Autoshokai Enterprise.We export used auto parts(engine,transmission,body,etc)to overseas in the container. We usually deal directly with overseas customers mainly,but we will be able to also act for the trading company,exporter,and supplier company. We are also buying from close company based on the order list. We purchase the used auto parts based on the order list from overseas customers,and we deliver them with same trader jointly. 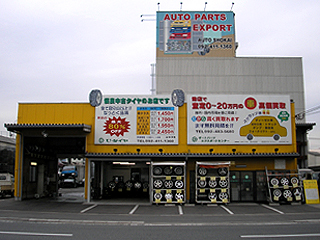 Auto Parts Export Center (APEC) location and excellent access to all transportation! Copyright (C) 2009-2019 有限会社オート商会／Autoshokai Co. Ltd. All Rights Reserved.